In our family, tradition dictates that the birthday boy or girl gets to choose the meal for their celebration dinner. Over the years, a definite pattern has emerged. Natalie, who's birthday is in July, has chosen to have BBQ ribs, fresh corn on the cob and melon, a quintessential summer meal. 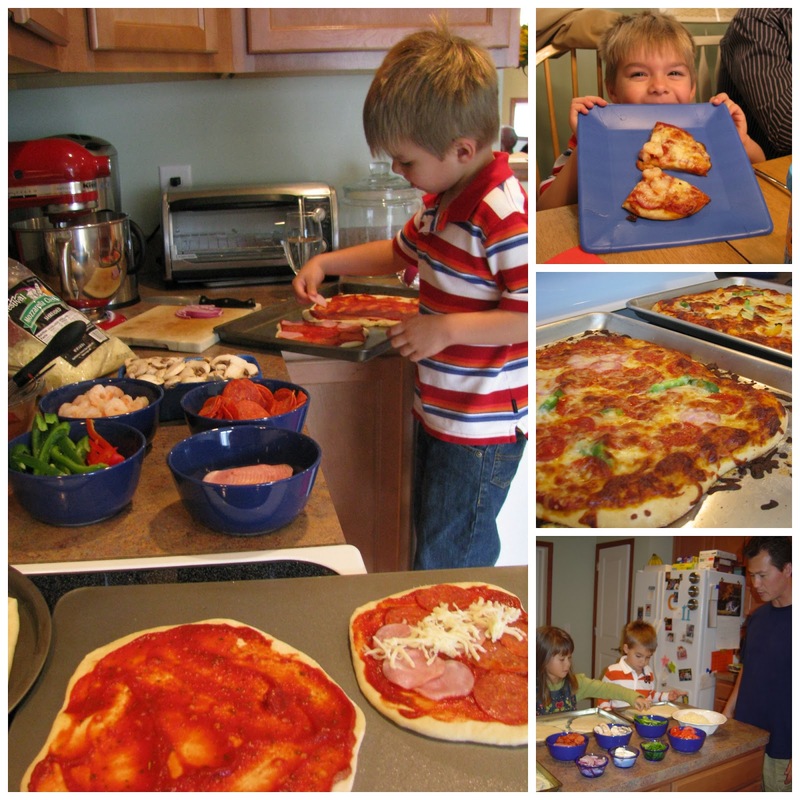 Connor, who's birthday is next week, has settled on homemade pizza as his favorite. We usually let our guests top their own round of dough, and then we line up a parade of baking sheets to go into a 500-degree oven. Early on, I found this recipe for pizza dough and I fell in love. First: you make it in a food processor, so it's quick and easy. Second: it only needs one rise, because it calls for rapid-rise yeast. And third: it has a touch of cornmeal in the dough - not enough to make it taste like cornbread, but enough to give it some added crunch. Maybe best for a party: It doubles or triples easily. 1. In a food processor, pulse together the flour, cornmeal, yeast and salt. With processor running, add oil and then water in a steady stream. Process until dough just forms a ball and starts to come together. 2. Turn out the dough onto a floured counter. Knead the dough until smooth and elastic, about 4 minutes, adding flour if the dough becomes too sticky to work with. Please in a oiled bowl and cover with plastic wrap. At this point, you can either let it rise on our counter, about 2 hours or until doubled in bulk. Or stick it in your fridge overnight. Just let it come to room temperature before working with it, if you choose the second option. 3. Divide risen dough into four equal portions. Roll into balls and cover with a towel until pulled, about 20 minutes. 4. Preheat oven to a blazing hot 500 degrees. 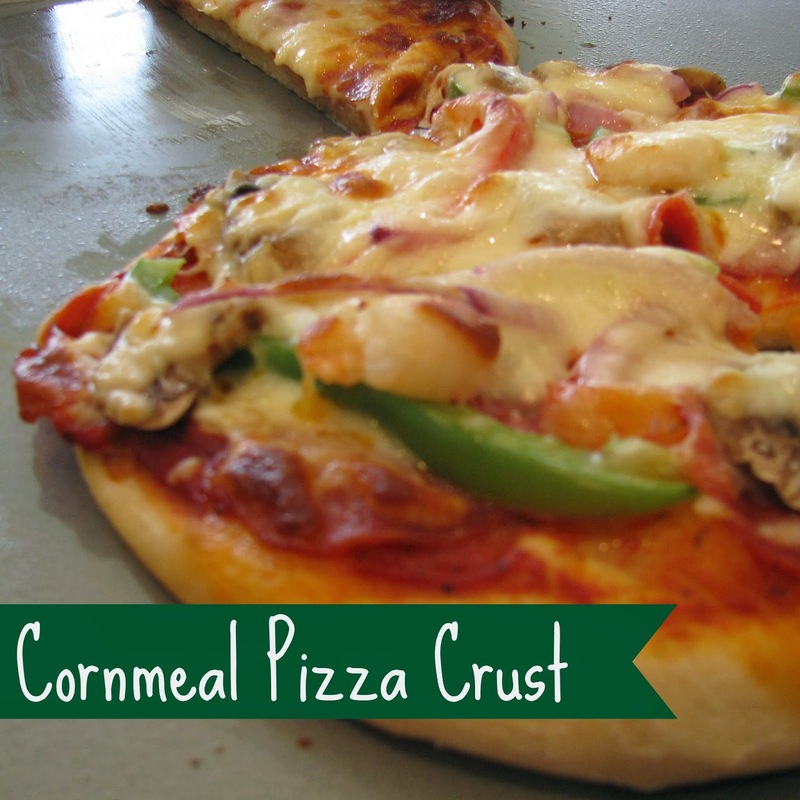 Sprinkle a scant handful of cornmeal on a rimmed baking sheet, to help keep the pizza rounds from sticking. 5. While oven is preheating, shape each dough into rough circles or ovals, about 8- to 10-inches wide. Put atop cornmeal on baking sheet and top as desired. 6. Bake until crust is golden and toppings are melted, about 10-12 minutes. 1. Note the words rapid-rise yeast in the ingredient list. This is important. Regular yeast won't work in this recipe, because it has to be activated with hot water before being added to the flour. 2. If you've got more than one baking sheet in the oven at the same time, you might want to rotate them halfway through so the pizzas cook evenly. 3. Ideally, you have just enough cornmeal on the baking sheets to keep the crust from sticking without using any extra spray or oil. But you don't want too much, or the cornmeal will burn while the pizza is cooking and/or your kids will see cornmeal on the crust and say, "Ewwww, I'm not eating that." If you get it wrong the first time, don't give up. You'll get it.